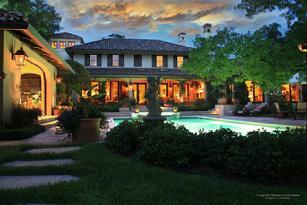 Preston Custom Homes specializes in large-scale "estate" projects. Clients who insist on the highest level of quality turn to us; we have the resources and expertise to handle the sophistication of such endeavors. Attention to detail, soundness of construction, and total client satisfaction are some of our most sought-after goals. President and Owner, Mark R. Early, began his career as a builder and quickly became the contractor of choice for some of the more prestigious residential projects in the Dallas/Fort Worth area. Preston Custom Homes takes pride in our tradition of being a "word-of-mouth builder," facilitating business through client satisfaction and recommendation.